I hope everyone had a great weekend! For those of you who automatically receive my blog via email, my apologies for the sneak peak of this unfinished post you accidentally received on Friday. For those of you who don’t receive my blog via email, subscribe today! 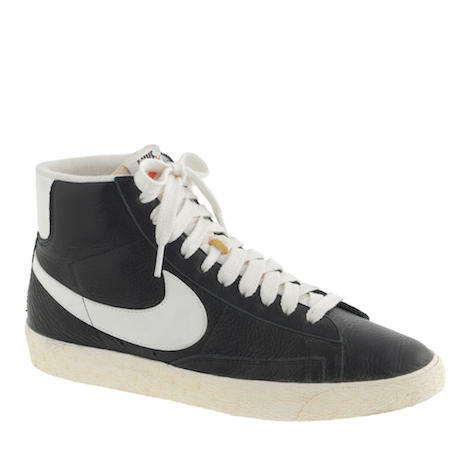 Women’s Nike Blazer mid vantage sneakers in black leather: I am a proud owner of these and I was at first a little hesitant that they’d be a bit too ‘Jenny from the Block’ for me, but paired with some black leggings, I’m obsessed!! 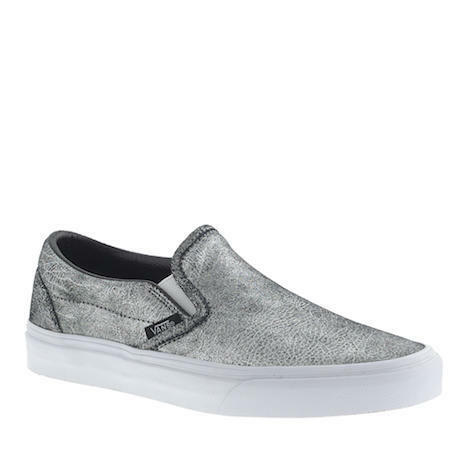 Unisex Vans Classic Slip-On Sneakers in Metallic Silver Leather: Usually slip-ons are so effortless, that they give off a casual and carefree look, but with the metallic silver coloring these shoes are suddenly chic and edgy, while still easy. 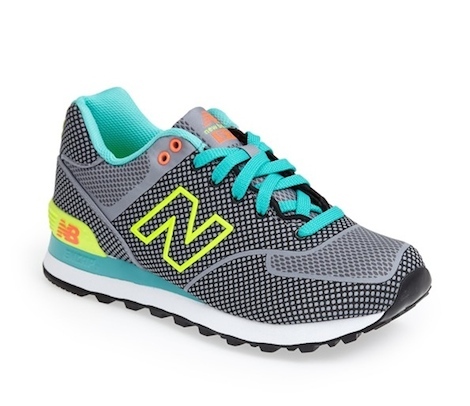 New Balance ’574′ Sneaker (Women) in Dark Grey: I have to admit I became obsessed with these sneaks as soon as I saw them on infamous blogger Sincerely Jules. But don’t worry, I think they’ll look fab even without a Valentino flap bag. 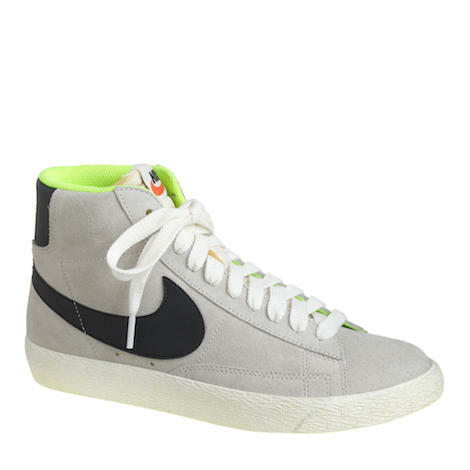 Women’s Nike Suede Blazer mid vantage sneakers: If you think it’s redundant showing you these in just another fabric nad color, think about how redundant they must look in my closet next to the black leather pair. As much as they are similar, the look is so different, different enough for me to purchase them. And I’m obvi obsessed with the pop of neon yellow.